People, don’t sulk. I know it’s a tedious job for professionals (majority, exceptions are always there) to take in new jargon and that too a financial one, in an already overcrowded market, creates a higher degree of pain. But don’t worry, I will try my best to simply the noun which making the rounds of late. I will be elucidating it in a questionnaire/FAQ format, so that an uncluttered view is generated which will help the mango people to comprehend better. They are basically blocks of useful/relevant digital data. So, every one of you thinking about its physical coin-ish existence is wrong. The picture at the bottom of this article is for representational purpose. It’s virtual. It’s a digital currency which has no owner i.e no regulatory body or government manufactures, controls or regulates this currency. #2 Is it safe to use bitcoins then? Is it illegal to transact using Bitcoins? How can you guarantee the authenticity of the currency and remittance of payment using them when no government or financial body has approved it? Calm down people. You will be able to fathom the answer to these questions after I give you an incident of the financial meltdown in Cyprus. The economic recession of Europe, popularly known as the Eurozone crisis, had a profound effect on many nations. Among the worst affected nations, Cyprus was in the list. Despite getting foreign funds, the financial health of the country had dilapidated to such an extent that the government had to appropriate the deposits of its citizen and other foreign investors to bail out of the downward spiral. The government never assured its people whether they will get back their hard earned money back or not. It had basically gone down the drain. Now tell me people, will you be able to handle such a shock? This was the main reason, by large, why people devised this new form of currency, so that no governing body can appropriate, compromise, in non-euphemistic term ROB their assets. Despite the risks involved in this form of currency, people across the globe are investing here and reaping mammoth of profits. Numerically speaking, a bitcoin worth 2USD in Apr, 2011 was worth 170USD in Apr, 2013. The skyrocket value change is due to mere speculation. Yes it can be declared illegal any moment, but taking the risk is worth every penny. US and Europe have not declared it illegal, but in India this concept is not being seen in good light by the administrators. Currently there are around 2000 users in India. #3 Tell me how Bitcoins are created, i.e how are they minted? Or who creates them? Bitcoin was originally created by Satoshi Nakamoto, in circa 2009, the actual existence of the proper noun is still not known, it could be a person or a group. Actually, anybody can create it, i.e mint Bitcoins. All you need is a high-tech computer, having a processing power of 60GHz or more (normal desktops/laptops have processors which are clocked at 2.5 GHz, this beast would cost more than 100000 INR presently), coupled with high RAM (more than 10GB). Free softwares for minting bitcoins are available in the web. Download them and allow the mean machine to dig the stuff for you. The processor runs high-tech algorithms, it would process large chunks of useless digital data and find nuggets of useful data, this useful block of data is termed as Bitcoin. One can draw an analogy with a gold mine quarry, where one has to mine loads of soil (useless data) to get an ounce of gold deposit (bitcoins). It is indeed that difficult to get such a block and that is why such powerful computers are required to execute this painstaking task. No doubt these computers are electricity guzzling behemoths, so brace up for high bills once you install them in your hearth. Once the bitcoins are discovered you can either preserve them by printing out the details( it comprises an ID key without any personal details of its owner) or save in in an external drive viz. Pen drive or external HDD or use them to buy products or services online from vendors who transact using bitcoins. As the mining activity increases, the level of difficulty of mining too increases. In 2009-10, a normal PC with 2GB RAM was sufficient to mint bitcoins, but now it has increased by manifolds. #Tell me more about how to use bitcoins, i.e how to transact them. First up, one needs to download a bitcoin wallet/client on the computer. The client then generates a unique address for the user, it is a series of alphanumeric characters which is basically the address of the user, consider it like a bank account number. This address is used to send/ receive payments via bitcoins. Buy bitcoins from a trusted vendor or transfer some from somebody known to you in exchange for cash. It can be received like email. When a bitcoin is received, the client will confirm its authenticity. 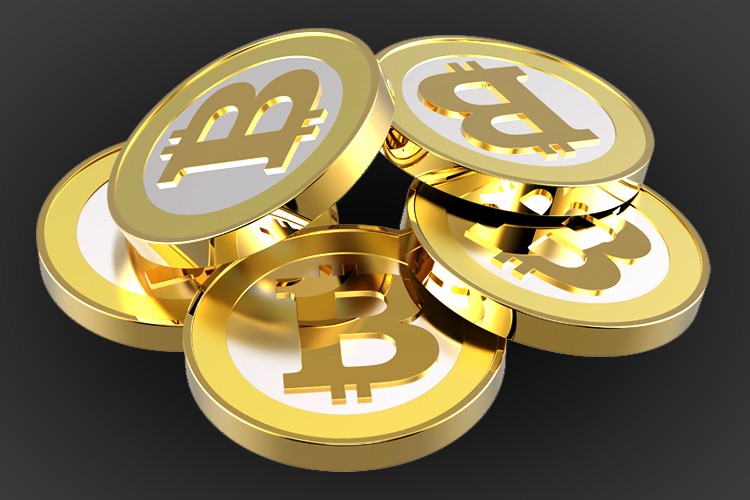 Subsequently, send bitcoins from your address to the recipient in exchange for goods/services. Whenever a transaction is done, the bitcoin gets stamped with the transaction details, which however does not include the personal information of its previous owner. Bitcoins can be broken into small units, up to 8 decimal points. #Sounds interesting, but what’s the catch? Nothing is utopian, so here are the risks involved. a) Bitcoins are highly insecure and volatile assets. Insecure because, if they are lost or stolen, it cannot be replaced or replenished. Solution: Encrypt your wallet. Volatile because the market fluctuations (purely based on speculation) are intense, the value can plummet anytime without giving any warning. Solution: Do not put all your earnings here. b) Hackers can steal bitcoins, so if you are planning to keep them for future use, always store them in external storage devices, or print them out and keep it confidential. c) Bitcoin clients, which are basically softwares, can give way. Once the system crashes, the transacting bitcoins are lost forever. d) Partial anonymity, i.e since the transaction records are permanent, it is advisable to use multiple addresses so that no one gets a consolidated information of your transcations. e) As mentioned earlier, it can be declared illegal by government anytime. #That is scary. Now some positives, please. A high risk asset definitely has its share of lollapaloozas. a) Massive gains. It can be overnight, or after a short period of time. b) Transactions are irreversible. Payment once made can never be received back. This particular aspect is being exploited by many vendors who fear to get duped by customers paying via fraudulent credit cards. Thus gaining popularity in the first world countries, where plastic money is the means of transaction, by large. c) Low transactional costs. Since there is no banking gateway to send/receive payments, intermediate costs are practically naught. d) The asset is not owned/controlled/regulated by any government, so you are the boss! e) Some financial organisations and government bodies are seriously contemplating of declaring them legal. Good news indeed. Negatives are omnipresent and antagonists are already maligning this new form of economy. Silk Route, a website that sells illegal drugs, uses bitcoins rampantly. Many more are present which are/would be in the news. But like every possible thing, one can extract a positive facet and a negative one too. So it is up to us what we choose. # Are Bitcoins a bane or boon?